Dentists nationwide “buy back” Halloween candy from children in their communities and then send the candy to U.S. Military deployed in combat through Military support groups. The Buyback removes excess Halloween candy from kids while supporting our troops! Contact us to add your buy back location! Important note: It’s imperative that you call ahead. 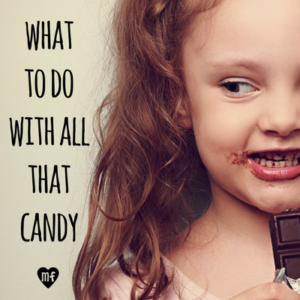 Many dentists set certain buy back rules, like a maximum amount of candy, or specific drop-off hours. Get the details before you go! Sign up for our newsletter & get top picks for family fun every week! Finally, don’t forget about your local soup kitchen, homeless shelter, food pantry, or nursing home. Many take donations of unopened candy. Call to find out if they accept treats, which your kids can deliver with a smile.